Veva (left) has worked as a childminder for 16 years, and since 2009 has been receiving training and supervision by the ECD staff at Olivais, an early childhood centre in Greater Lisbon, operated by the Aga Khan Foundation. She is shown here playing with children. 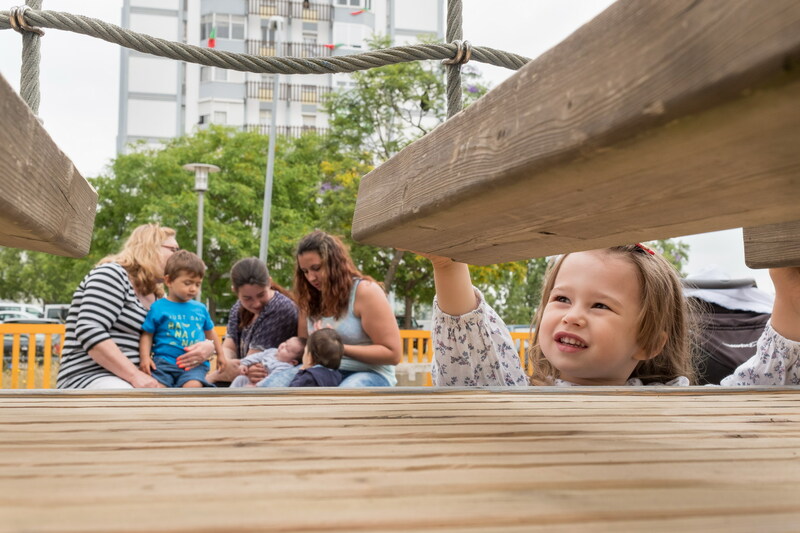 Through a public-private partnership with the Ministry of Labour and Social Solidarity, and in partnership with the Childhood Association based at the University of Minho, AKF is managing a government early childhood centre near downtown Lisbon. The Olivais Centre in Greater Lisbon is a reference point for quality Early Childhood Development services in Portugal. The Early Childhood Education and Development Programme (ECD) values the early years of life and focuses on the quality of learning to strengthen and build systems/institutions that invest in the development of children, families and professionals. The ECD Centre Olivais Sul is an implementing unit that started by investing locally in ECD in the early 1980’s, undertaking hands-on research to develop a child-centre learning model that would transform the pre-school experience by valuing participatory pedagogies. The Pedagogy-in-Participation model was developed in partnership with the Childhood Association since the early 1990’s and used in various contexts of Greater Lisbon which led to the invitation of the Government - Institute of Social Security (ISS) - to manage one of their ECD centres. 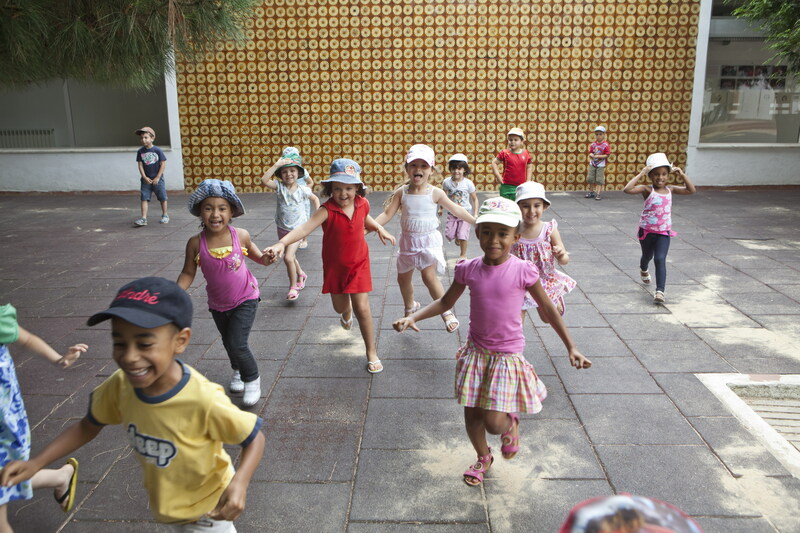 In 2009 the Aga Khan Foundation (AKF) took over the management of the ECD Centre Olivais Sul, in Lisbon, with crèche and pre-school facilities. The Centre has become a living laboratory for learning and knowledge sharing that inspires others, with national spin-off programmes like the Childminders Training, the Family Literacy Programme and the Intercultural School Network, this latter in partnership with the High Commission for Migration, putting all of AKF core principles into practice. It fosters teacher capacity building and professional development through in-service training but also post-graduate training. In terms of results ECD and education programmes have reached 94,800 people, involving more than 935 schools. AKF has been managing the Early Childhood Centre at Olivais Sul since 2009, per request of the Government - Institute of Social Security. The Centre has become a living laboratory for learning and knowledge sharing that inspires others, with national spin-off programmes. Since September 2009, the Aga Khan Portugal Foundation has been developing a training and research programme entitled "Building participatory pedagogies in the family day care centre" at the Centro Olivais Sul (CIOS). This action research project focused on the adaptation and experimentation of a participatory educational approach to family day care through supervision / follow-up and training, aiming at providing an integrated quality service. The development of the training and research-action programme resulted in the construction of various materials and resources. This praxiological knowledge, coupled with recent studies on early childhood development, allowed the creation of the Training Course for Mothers and Other Caregivers of Small Children, presenting as a training with a holistic view of the dimensions of education and care in childhood, and based on a socioconstructivist perspective. Gerar.Te is a Parental Education Programme of the Aga Khan Foundation Portugal, for pregnant women and couples awaiting the birth of a baby, or parents of new-borns. It is a unique initiative in Portugal that accompanies pregnancy and the transition to parenthood ensuring good life starts and development opportunities based on family relationships. It’s a Family Literacy non-formal educational programme, of short duration and playful nature, designed for contexts such as municipal libraries, school libraries and local-based organisations. It aims to reinforce parental skills to support the development of emergent literacy of preschool children, through the increase of family literacy practices. It is based on scientifically grounded evidence that shows that children who benefit from family environments rich in literacy practices and habits develop emerging literacy skills and motivation to learn, read and write. This will have a positive impact on formal learning, reading and writing, essential conditions for educational success. Education for diversity and intercultural education is an important and integrated component. 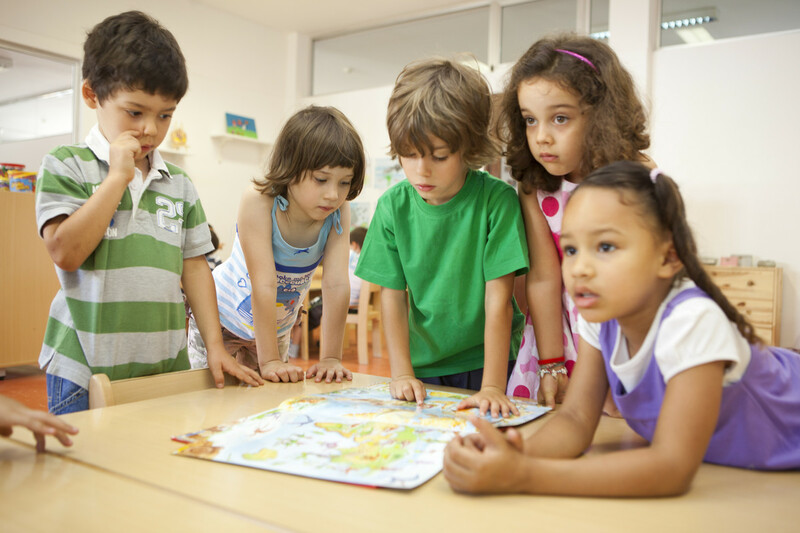 By working with 9 affiliate early childhood centres and supporting the Childhood Association to deliver a Masters in Early Childhood Development at the Catholic University in Lisbon, AKF is promoting the dissemination of the pedagogy to other education centres. In addition to the centre based programme, AKF develops, tests and evaluates early childhood interventions in other settings, for example reading for children based in libraries, supporting parenting skills from pregnancy to the first year in health care centres and developing early years professionals skills to support pluralism in early years centres. The AKF office in Lisbon also undertakes interventions in early years to improve the quality of life for immigrant communities in Norway and Germany.